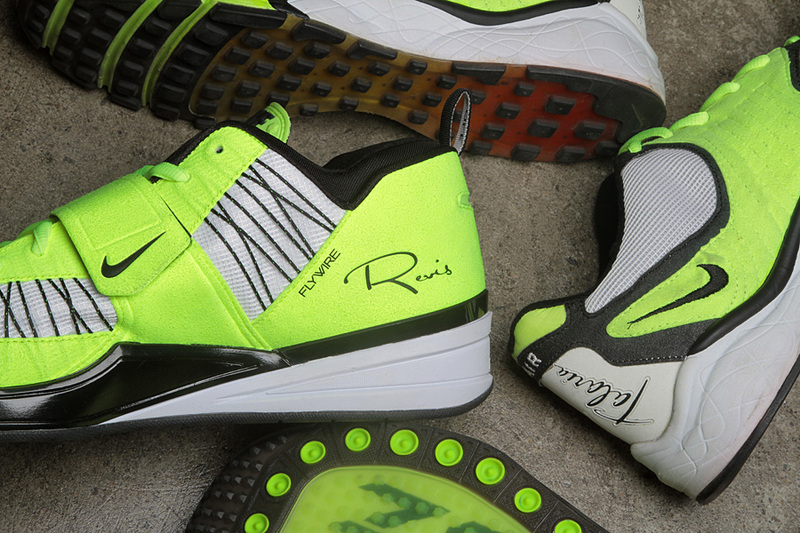 Our latest collaboration atop the Nike Zoom Revis loudly pays tribute to the history of Zoom Air. As you can probably tell from all of our SC collaborations, we love to often give a nod to the past when working on the future. One thing that Nike can boast more than any other company in the footwear industry is its unrivaled back catalog of classics. When looking through literally every past decade, through each designer's resume and each category's product list, there's an endless stream of innovation and great design to be found. 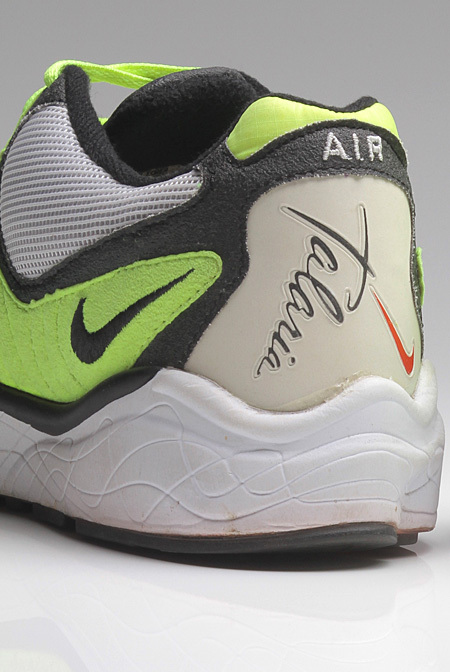 Way back in 1997, that innovation was seen in the Zoom Talaria (seen above), a running shoe designed by the legendary Tinker Hatfield that brought bottom-loaded Zoom Air to the equation for the first time. The full-length Zoom bag was positioned just above the clear outsole, offering up a lower ride and deeper responsiveness. 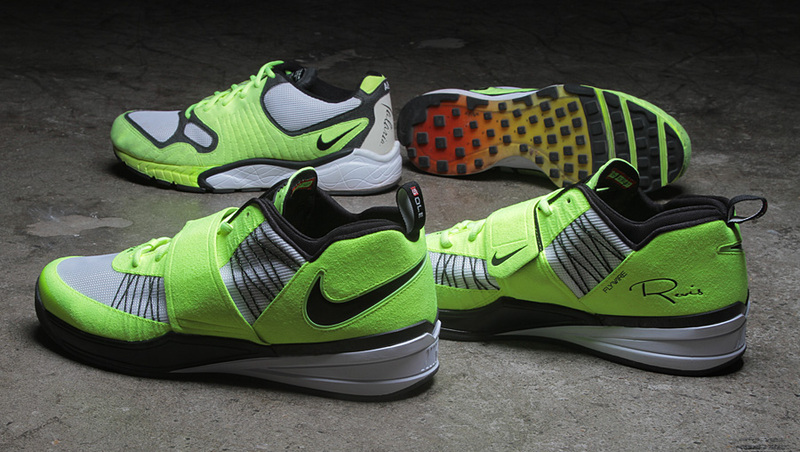 We'd seen the bottom-loaded Zoom bag on the Talaria in Running and AJ 2010 for hoops, and just this last season, we saw it once again used by Nike Training. 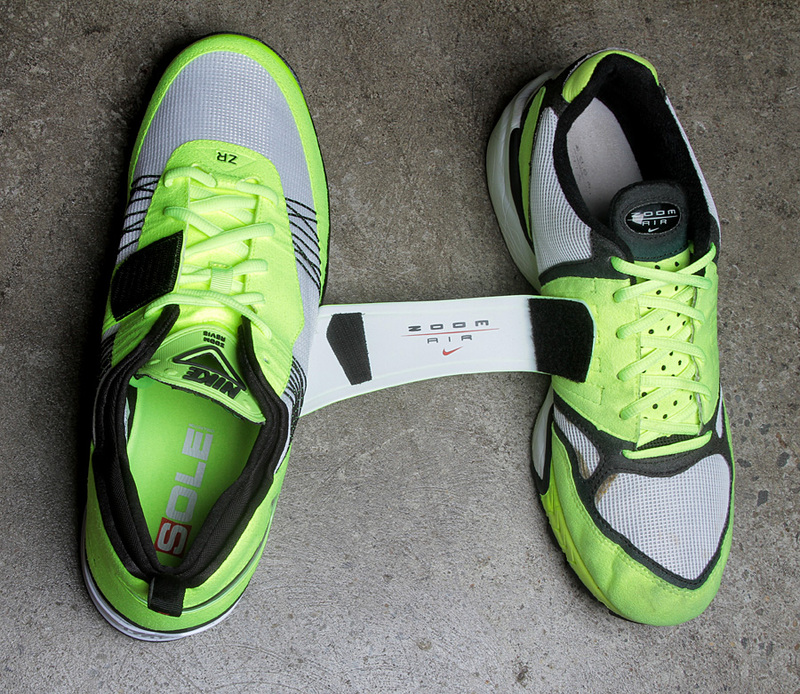 Designed by Ken Link, the Nike Zoom Revis was tailor made for Darrelle Revis' explosive game, highlighted by its use of botttom-loaded Zoom Air for cushioning and a midfoot strap and Flywire for lockdown. “The great thing about Zoom Air, is it allows you to practice long hours and it allows you to go day to day and you don't get beat up by the practice schedule.” says Link. 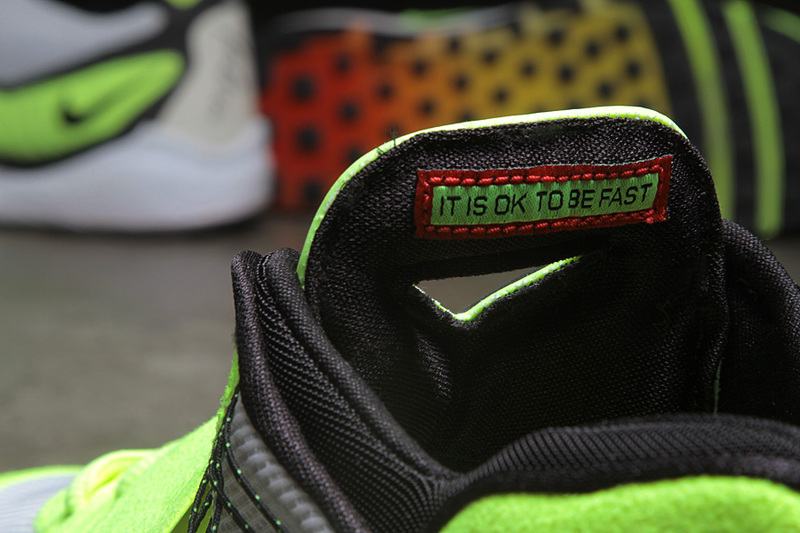 To celebrate that heritage of innovation, we teamed up with Nike Training for a Friends & Family run of this loud Talaria-inspired version of the Zoom Revis. 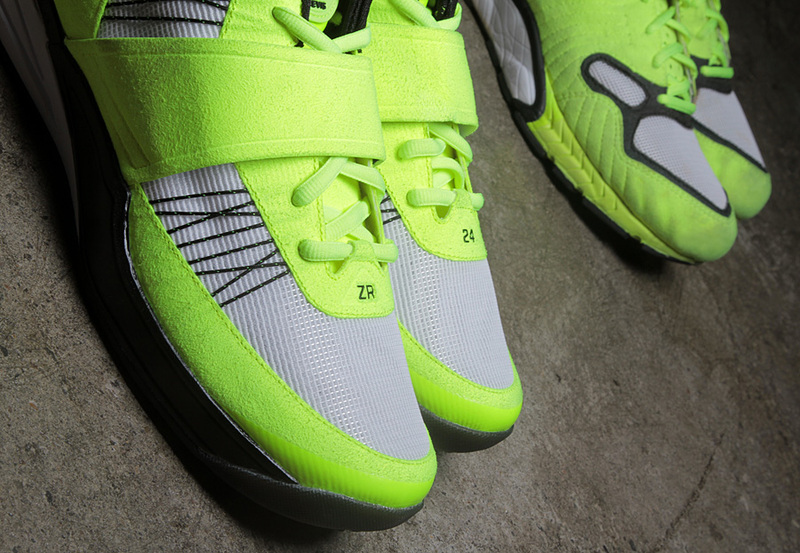 You'll notice an identical neon felt and white grid mesh used along the upper, along with a faded Zoom bag and custom "Revis" script. 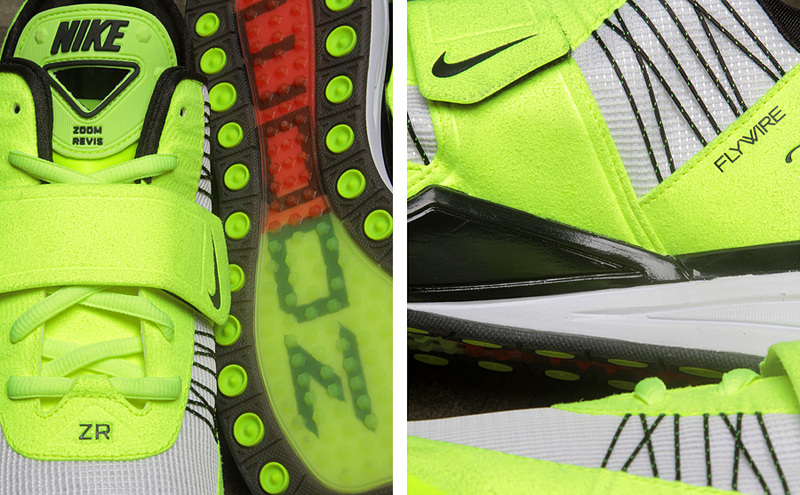 Take a look below at the Nike x Sole Collector "Talaria" Zoom Revis, and stay tuned on Instagram & Twitter on how you can win a pair.